You may remember Plok from the 1990s Super Nintendo Entertainment System (SNES) video game of the same name. 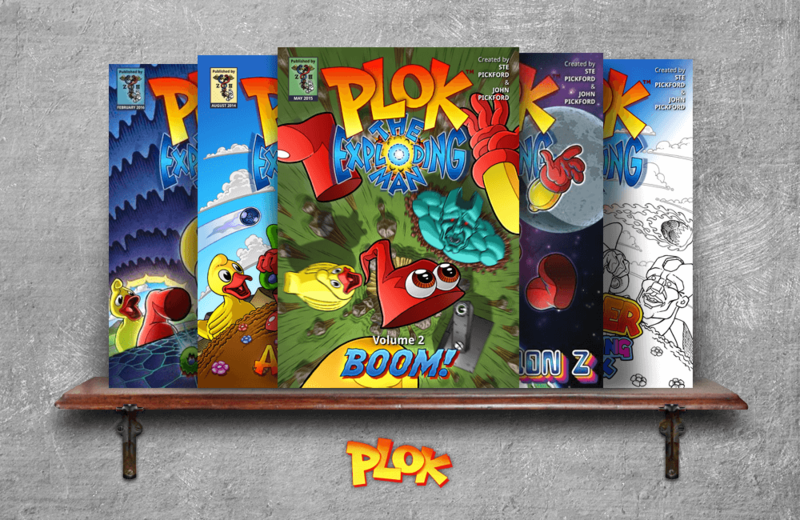 After a lengthy absence, Plok has been reintroduced in a comic strip that is sure to please fans of the classic video game and earn new fans through the comic’s striking illustrations, witty dialog, and a cast of entertaining characters. Plok, the comic strip, can be seen “weekly-ish” on zee-3.com. Plok anthologies are also available in print and as digital downloads. Over the course of 144 pages, author Brian Heiler has paid tribute to an oft-forgotten niche of off-brand, easily breakable, and ultimately disposable plastic toys that were typically available in supermarket checkout lines, variety stores, and pharmacy shelves.